Hi there! 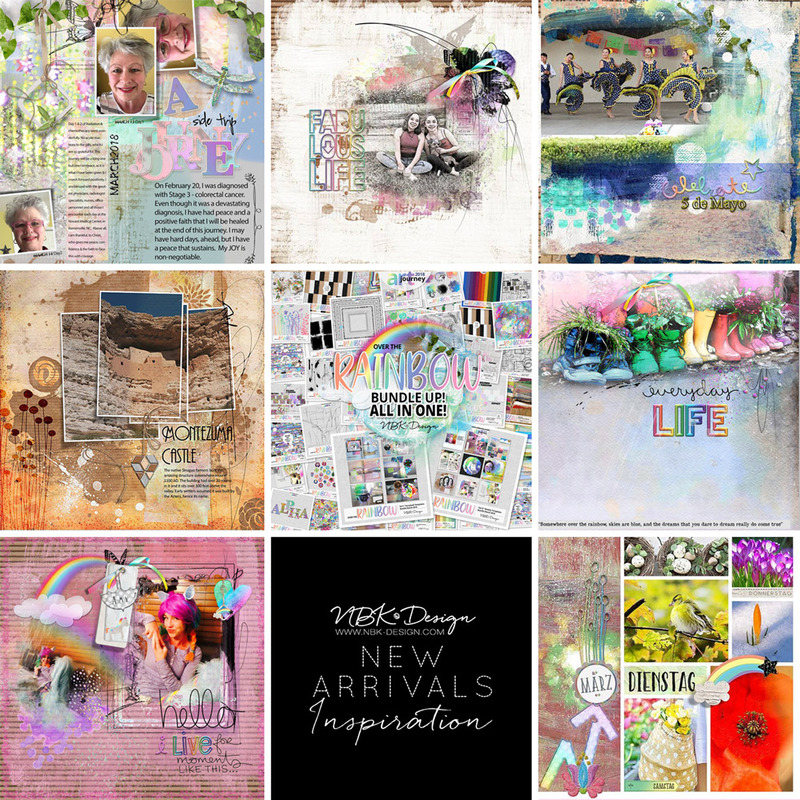 CTM Anne/aka Oldenmeade here, showcasing some of the layouts the CT have made with NBK Design‘s latest colorful collection, Over the Rainbow. 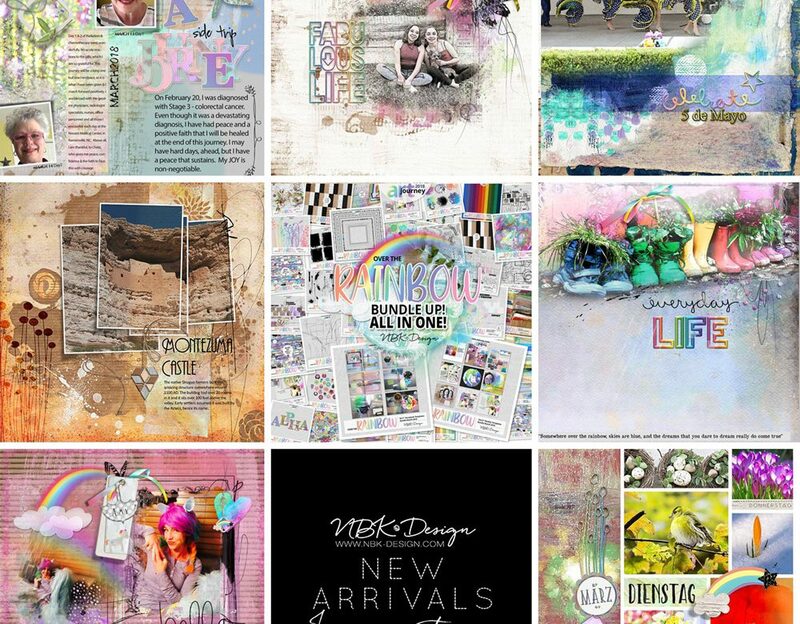 This mega collection will have you smiling with delight and eager to get creating. You can use one of the many templates as a starting point, or go freestyle and see what develops.